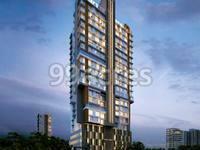 Ekta Westbay in Bandra (West), Mumbai South West by Ekta World and Transcon is a residential project.  The size of the Apartment ranges in between 76.0 sq.ft. and 1280.92 sq.ft. Price starting from Rs. 5.99 Cr. Ekta Westbay offers facilities such as Gymnasium and Lift. This is a RERA registered project with registration number P51800001494. The project is spread over a total area of 0.33 acres of land. It has 5% of open space. Ekta Westbay has a total of 1 towers. The construction is of 22 floors. An accommodation of 62 units has been provided. Ekta Westbay brochure is also available for easy reference. The financial capital of India, Mumbai generates opportunities in a wide array of professional categories. Hence, it has a number of people moving into the city generating rental as well as residential demands. To cater to these demands, the developers invest in the market to come up with projects that suit the needs of every buyer impacting the market positively. Other factors such as infrastructural developments to enhance the ease of travelling and availability of good health and educational institutes, further impact the real estate of the market. The city also has a rising commercial real estate catering to people looking for investments. In which area is Ekta Westbay located?The project is situated in Bandra (West), Mumbai South West. What size of flats are available in Ekta Westbay? The apartment size in the project is 1220.0. What is the 3 bedroom size in Ekta Westbay? The area of 3BHK units in the project is 1220.0 sqft. What is the total area of Ekta Westbay?The project spans across 0.33 Acres. How much is price of 3bhk in Ekta Westbay? The price of 3 BHK units in the project is Rs. 59902000. What are prices of apartments in Ekta Westbay? Price of apartments in the project is Rs. 59902000.